Many commenters left the meeting after they had their chance to speak before the board. Visit bit.ly/2clqXJn for extended coverage of Tuesday’s meeting at SierraSun.com. In a nutshell, Martis Valley West seeks approval to transfer 760 of the 1,360 residential units currently zoned for development within the Martis Valley Specific Plan’s East parcel to the West, while also permanently retiring the remaining 600 units from future development. Per the deal, Mountainside Partners would make the East parcel (6,376 acres) available to conservation groups for permanent open space preservation, and the transfer of rights would allow for development to occur on the West parcel. In July, the Placer County Planning Commission voted 5-2 to recommend denial of the project. The board of supervisors is expected to revisit its tentative decision to approve on Oct. 11, when county staff is tasked with providing updated findings, ordinances and resolutions for their consideration. While no lawsuit has been filed, Sierra Watch Executive Director Tom Mooers implied one would be forthcoming should the development get final approval next month. Mooers and other opponents say the Martis Valley West environmental impact report, a requirement under the California Environmental Quality Act, is inadequate. “If what it takes to secure a good blueprint for this property is litigation to hold them accountable to their own laws, that’ll be the next step,” said Mooers. Darcie Goodman-Collins, executive director, made similar comments after Tuesday’s vote. Look to future editions of the Sierra Sun in the coming weeks for more coverage on Martis Valley West. KINGS BEACH, Calif. — A decade ago, when stakeholders met to discuss their future vision for Martis Valley, they hoped to negotiate a plan all parties could agree on outside of a courtroom. But after years of disagreements, the very litigation they sought to avoid could end up happening after all. The Placer County Board of Supervisors voted 4-1 Tuesday to tentatively approve the Martis Valley West Parcel Specific Plan, despite concerns from residents and environmental groups that the region can’t handle the additional traffic, and that the conservation of the east parcel is not a sure thing. “We’ve given up controlling our destiny to the courts,” Truckee Donner Land Trust Executive Director Perry Norris told the Sierra Sun Wednesday. 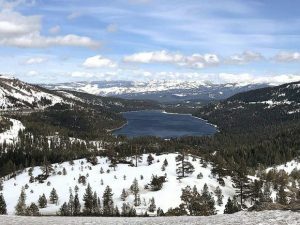 The Truckee Donner Land Trust and the Trust for Public Land had a sale agreement with landowner Sierra Pacific Industries to purchase the east parcel for conservation — should the plan to develop the west parcel be approved. There was another deal among Sierra Pacific Industries, developer Mountainside Partners, and environmental groups Sierra Watch and Mountain Area Preservation called the Martis Valley Opportunity Agreement, which was essentially a deal to work together in negotiating project terms. “The MVOA, going back to the start, was that there’s got to be a better way to do this than ending up in litigation, and now here we are a decade later,” said Norris. There were concerns among environmental and conservation groups that the controversial nature of the Martis Valley West development would make it difficult, if not impossible, to rally financial support necessary for the Truckee Donner Land Trust to buy the east parcel. There was also a time limit on the fundraising efforts, Norris said. So if no purchase could be made, then SPI would continue to own and operate the land. “We don’t have huge bank accounts … it takes us years to raise the necessary funds on a multimillion dollar deal,” Norris said. NULL AND VOID IF A LAWSUIT IS FILED? But there are other reasons why preserving the land and making it open for public use isn’t a sure thing. “The conservation easement is null and void if MAP sues, and so is the purchase agreement,” Norris said. A conservation easement, which is between the county and the landowner, would provide an alternative to sale of the east parcel. That arrangement would place a limitation on what the land could be used for no matter who owns it, but that doesn’t necessarily mean it would be fully protected from things like future logging use. Norris said conservation easements can be strict or lenient, and the land trust was interested in buying the property because they feared the easement would be lenient. “What we were interested in was a fee title purchase of the property and I don’t see that happening now,” Norris said. The purchase agreement, Norris said, was dependent on the other groups coming to terms. But that never happened. “We’re on the sidelines for the next 3, 4, 5 years while this runs its course through litigation,” he said. Norris also said he thought all parties were close to reaching an agreement, which may have been possible if a continuance had been issued, as Placer County Supervisor Jennifer Montgomery — who was the lone dissenting vote Tuesday — brought up. One of the biggest hurdles toward reaching that agreement, he said, was trust, adding that there was even a period of time when the business, environment and conservation partners stopped talking to each other. 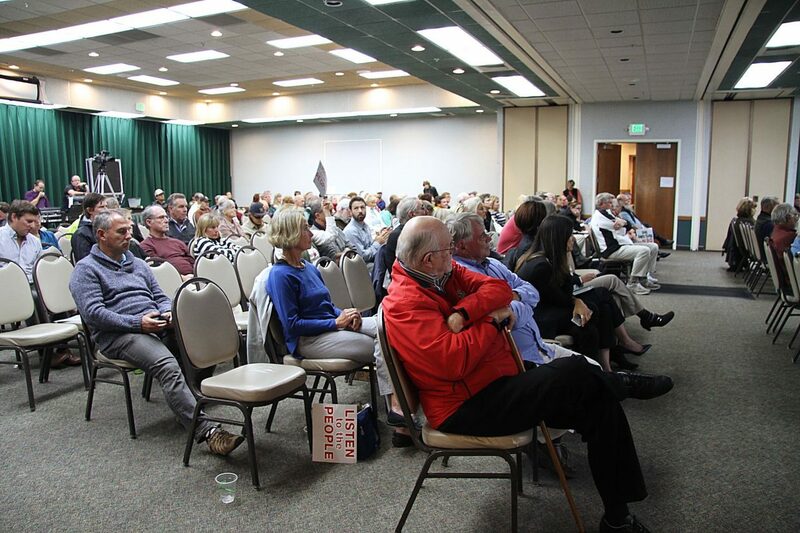 MAP Executive Director Alexis Ollar said that when Mountainside Partners proposed its development plan in 2014 for the ridgeline property within the Lake Tahoe Basin boundary (that plan was later scrapped), it distracted everyone from the west parcel plan. “From that point, conversations weren’t productive,” Ollar told the Sierra Sun Wednesday. And after years of disagreements, she said she didn’t think a continuation would be productive either. But the real issue, Ollar contends, is that supervisors Tuesday focused their entire deliberations on the Martis Valley Opportunity Agreement — and not project specifics or the significant traffic and environmental impacts the development would bring, as outlined in the Martis Valley West environmental impact report. 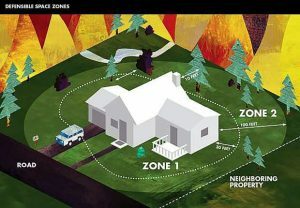 During Tuesday’s meeting, Placer County District 4 Supervisor Kirk Uhler spent nearly 15 minutes asking Sierra Watch Executive Director Tom Mooers — who’s gone on record in Sierra Sun opinion pieces and other public statements alleging that Mountainside Partners had breached the terms of the MVOA — to explain why he felt the agreement had not been adhered to. Uhler said he felt that the project was worthy of support and was impressed that the developers had arranged for the protection of the east parcel. “The project was not only consistent with the Martis Valley Community Plan, I think it was superior to what they could have presented,” he said. When asked by the Sun, Uhler admitted he didn’t read the entire environmental impact report, but he said he believes the board listened carefully to testimony from all parties. Uhler, who said he’s in his 14th year as a county supervisor, said he recalled the Gooseneck Ranch proposal that was heard in 1993. As for Montgomery — who is the only Placer County supervisor whose district resides in the Tahoe-Truckee area (she lives in the district, too, in Soda Springs) — she said that when she was first shown the project, it had a physical connection to Northstar California. That, as well as the conservation element, made her willing to consider the proposal. “But having lost that, and not having a guarantee for the conservation of land on the east side, (it) would not allow me to vote for that,” she told the Sun Wednesday. Further, there was another component that influenced Montgomery’s vote that she didn’t bring up during Tuesday’s meeting: Highway 267, and the added traffic impacts Martis Valley West would have on it. Montgomery said there are challenges in finding funding, as well as getting collaborative effort off the ground between Caltrans and two counties as well as a town, that make this particular mitigation effort less credible. According to an email from Caltrans spokesperson Steve Nelson to the Sierra Sun on Tuesday, “The Placer County Regional Transportation Plan has a project listed for State Highway 267 widening from 2 to 4 lanes from the Nevada County line to Northstar Drive. However, completion timing is after 2036 and is listed as project development only.